Join us as we welcome spring with our annual Sakura Spring Festival. 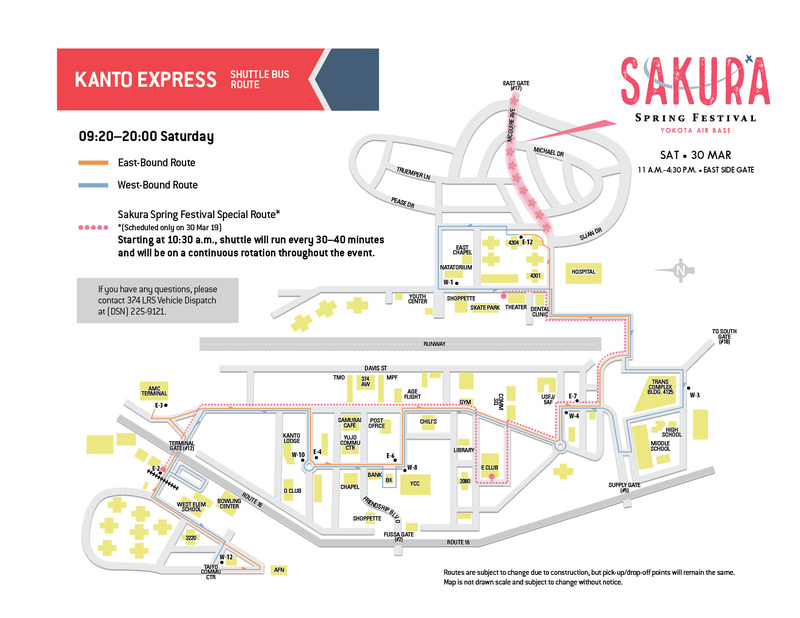 Yokota East Gate will be closed to vehicle traffic from 6 a.m. – 7 p.m. on Saturday, 30 March. Mandatory DoD ID checks will be enforced by Security Forces for all Sakura Festival attendees.